The Slip is the seventh album by American industrial rock act Nine Inch Nails. The album was released free of cost on May 5, 2008 via digital download on the official Nine Inch Nails website. The album was produced by Trent Reznor alongside Atticus Ross and Alan Moulder. The album features vocals and traditional song structures, unlike its 2008 instrumental predecessor Ghosts I–IV. Like that album, though, The Slip was made available without any prior notice or advertisement. The album peaked at position 13 on the Billboard 200 for 2008. A tour incorporating material from Ghosts I–IV and The Slip, entitled “Lights in the Sky 2008“, began in late July and is scheduled to cover venues in North America and South America. 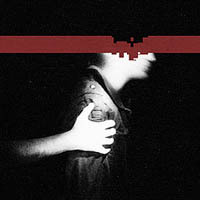 Like the previous Nine Inch Nails studio album Ghosts I–IV, The Slip was released under a Creative Commons attribution-noncommercial share alike license, in effect allowing anyone to use or rework the material for any non-profit purpose, as long as credit is provided and the resulting work is released under an identical license. The website further expands by saying “we encourage you to remix it, share it with your friends, post it on your blog, play it on your podcast, give it to strangers, etc.” As with Ghosts I–IV and Year Zero, multi-track audio source files of the album were also made available at remix.nin.com.